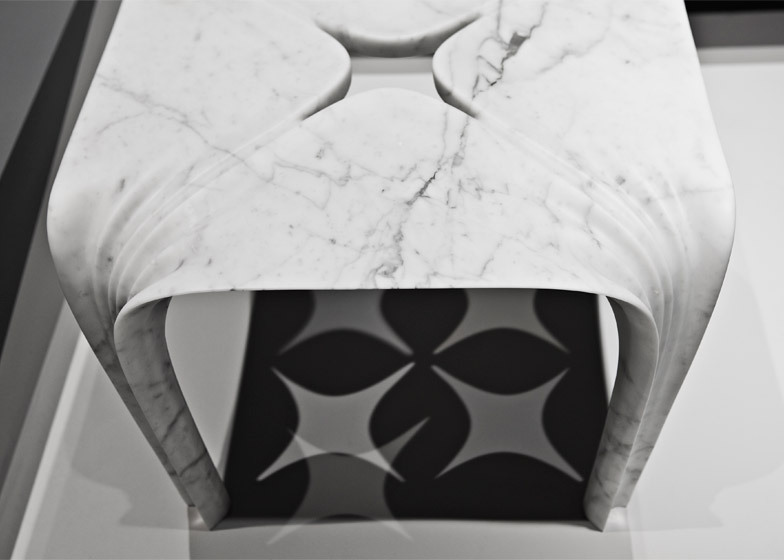 Milan 2015: architect Zaha Hadid has carved pleats into the surfaces of these vases and tables made from different varieties of marble (+ slideshow). 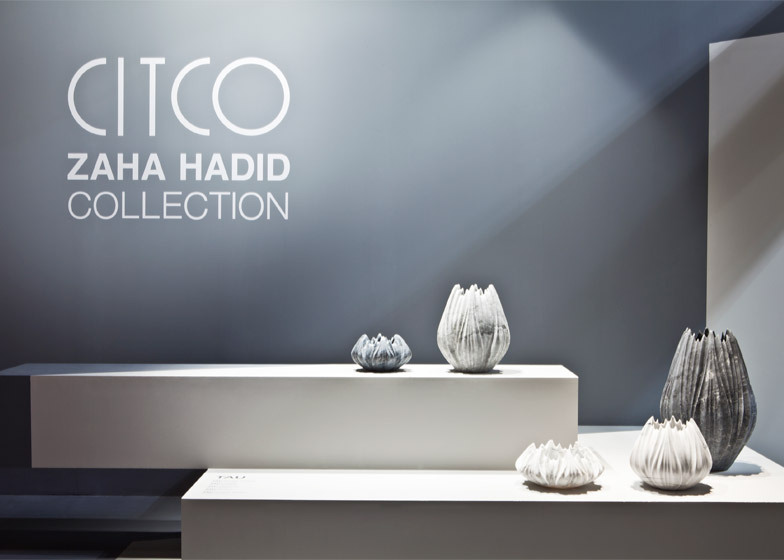 Zaha Hadid Architects created the products for Italian stone company Citco, having previously designed a series of sculptural marble tables and a black granite shelving unit for the brand. 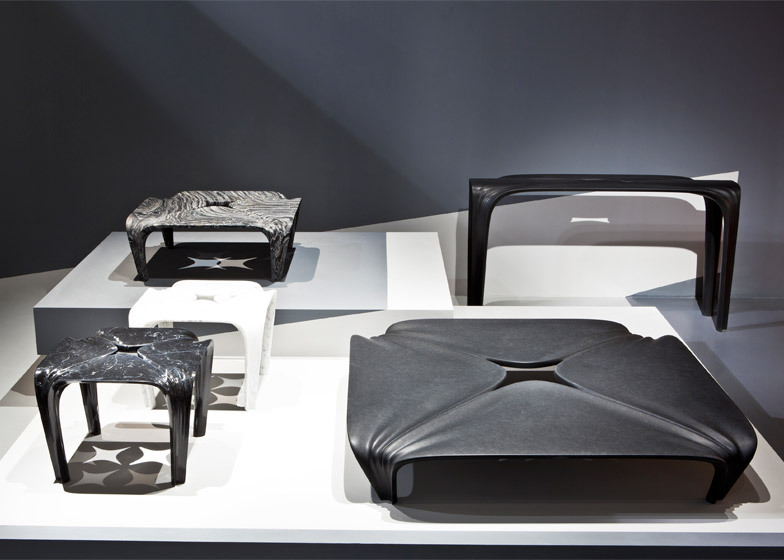 Each of the designs is shaped using a five-axis computer numerically controlled (CNC) milling machine, which carves away pieces from a solid block according to a digital model. The Tau vases are available in five sizes and shapes, ranging from short and squat to tall and elongated. Each is patterned with carved furrows and ridges running up the sides of the rounded forms, finishing in a ring of rounded peaks. 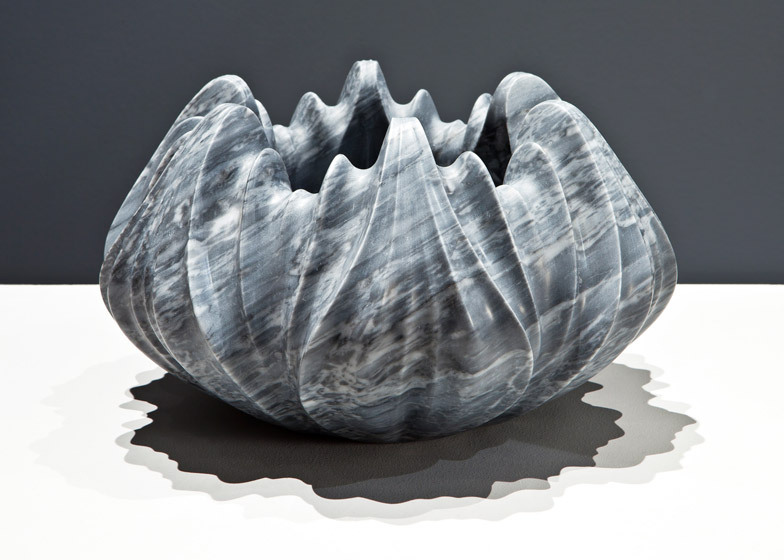 The vases are available in four different types of marble. "The Tau vases appear organic; emerging as a series of intricately rendered pleats expressing the formal complexity of natural growth systems," said Zaha Hadid Architects. 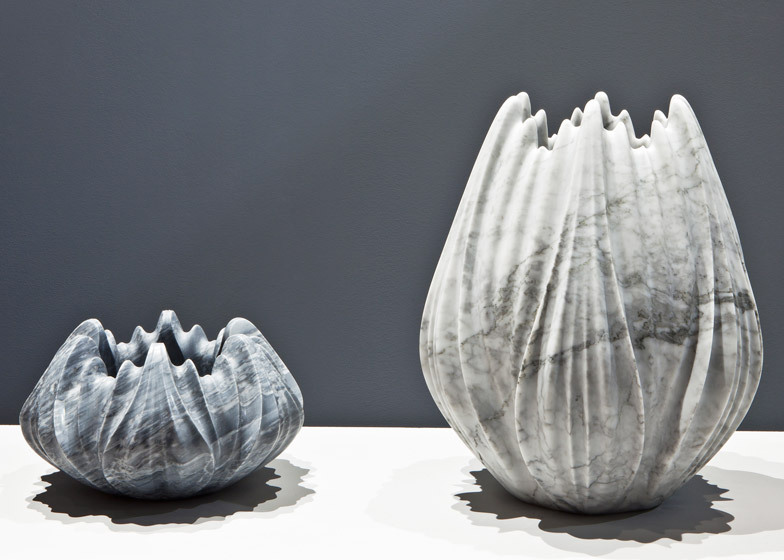 "Seemingly as delicate as flower petals, the fragile aesthetic of the vases belies the solidity of their material," the studio said. 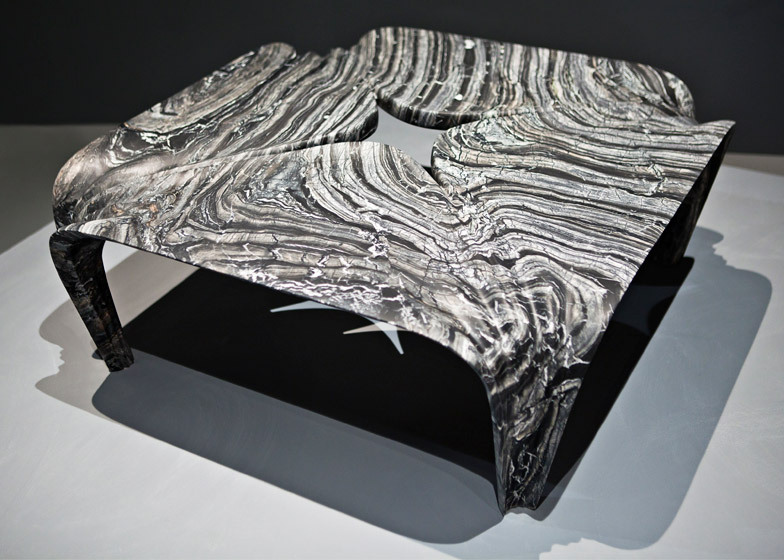 Also available in five sizes, the Quad marble tables are formed from triangular quadrants of marble that join at the corners and curve down to form the legs. 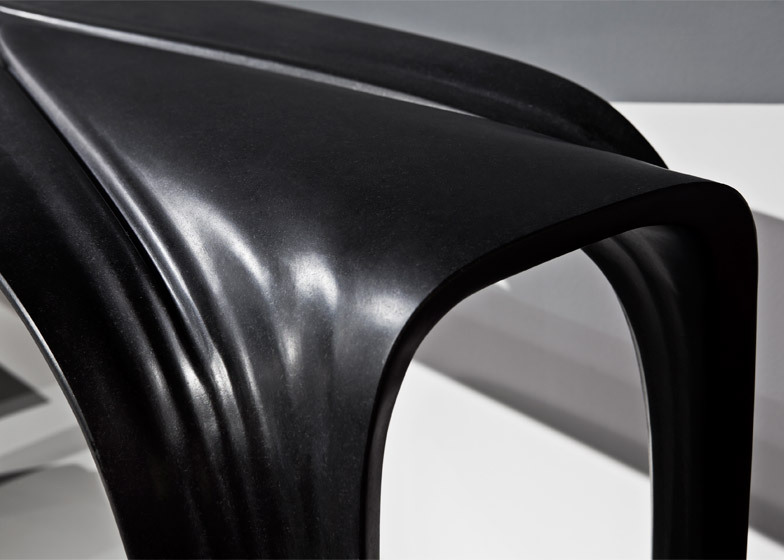 The inside corners have a rounded finish, creating gaps in the centre of each tabletop. 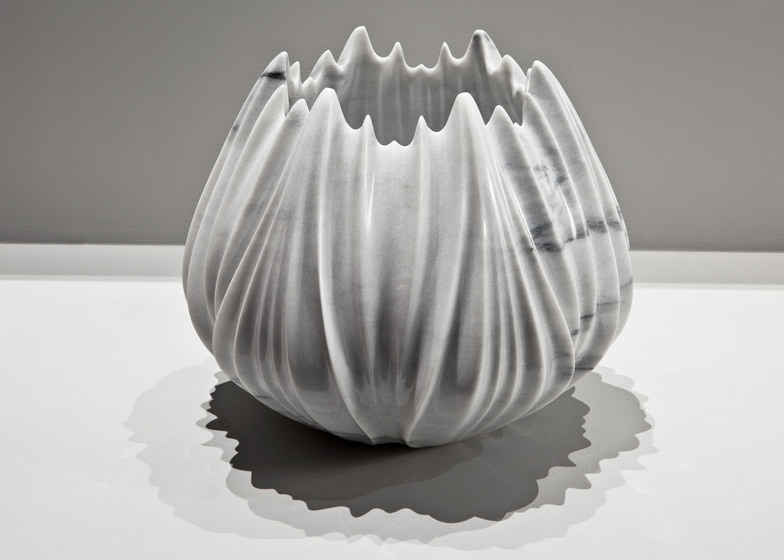 The surface of the marble is carved to suggest ripples of fabric. 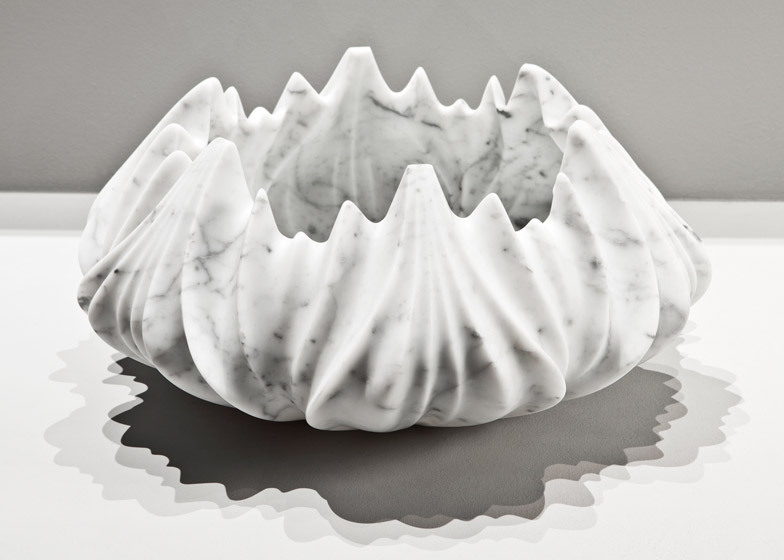 "Fanning out from a central void, the marble tabletop flows to its points of grounding in each corner, gathering into subtle folds as it progresses from the horizontal to vertical," said the architects, "its fluid surfaces appear taut and pleated, denying the inherent unmalleability of its structure." 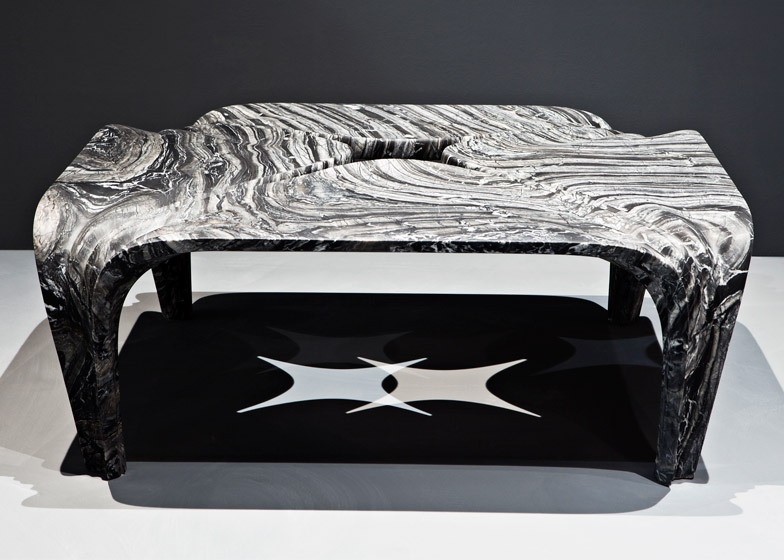 Varieties of the stone used across the set create different effects, including plain matt black for a coffee table and marbled black and white patterns on a side table. Citco presented the designs at last week's Salone del Mobile furniture fair in Milan. Photography is by Jacopo Spilimbergo.